Originally launched in 2001 the Nissan X-Trail has been one of the brand's best-selling vehicles worldwide. Available with both five and seven seats as well as having off-road capabilities the X-Trail is the ideal SUV for large adventure-loving families. The most recent update in 2018 saw the X-Trail get a facelift, like that of the Qashqai in terms of styling. 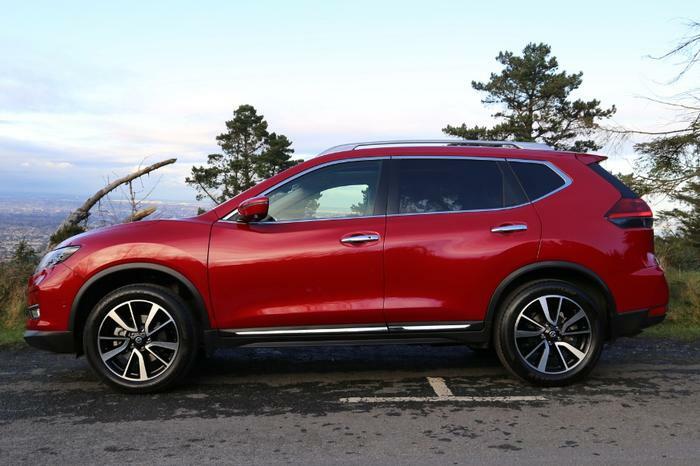 The largest SUV in the Nissan family competes in quite a competitive market with the likes of the Peugeot 5008, Kia Sorento and Mazda CX-5 to name a few. 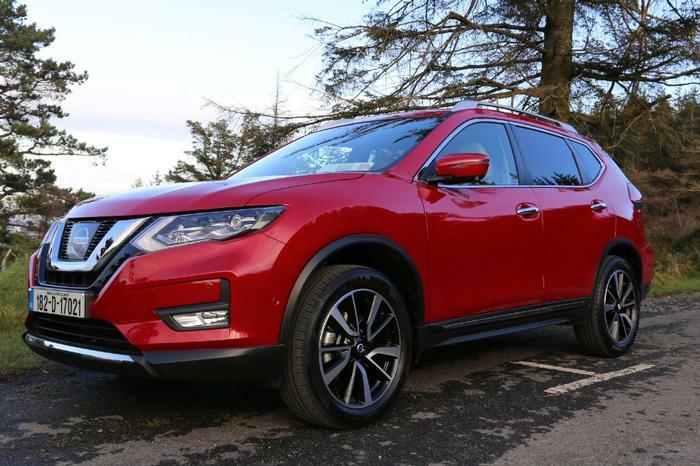 We tested the new 2019 Nissan X-Trail 7-Seater on Irish roads, which features an impressive new design and state of the art technology. When you first see the new X-Trail its difficult not to compare it to its little brother, the Qashqai. Both vehicles share the same front design with Nissan ’s signature V-shaped grille and LED headlights. 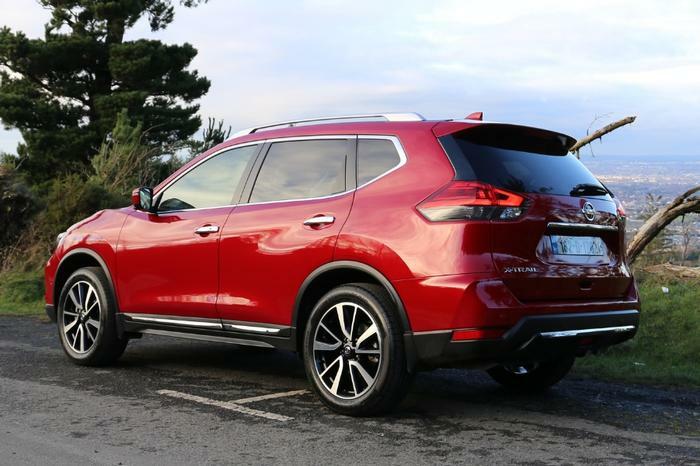 As well as being larger than the Qashqai the X-Trail features chrome door sills and more of a rounded rear that give it an impressive profile all around. When you first sit into the X-Trail you will notice there is significantly more headroom compared to the Qashqai. SV Premium and SVE models feature an impressive panoramic ‘Moonroof’. The roof opens right up all the way back to the rear seats so that all passengers can enjoy a full view of the sky. The interior has a more luxurious feel than previous versions, with high-quality leathers and comfortable seating front and rear. Like the Qashqai, the new X-Trail is equipped with Nissan 's new D-shaped multifunction steering wheel. The SVE version we tested comes equipped with 8 Bose audio speakers as well as heated seats and steering wheel which add to the comfort of the X-Trail . 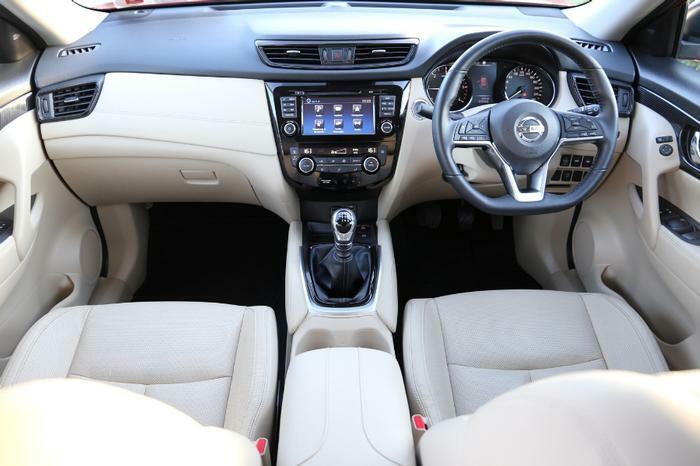 The infotainment is displayed on a 7-inch screen in the centre console, which like in other Nissan models is quite limited compared to its competitors but does the basics. 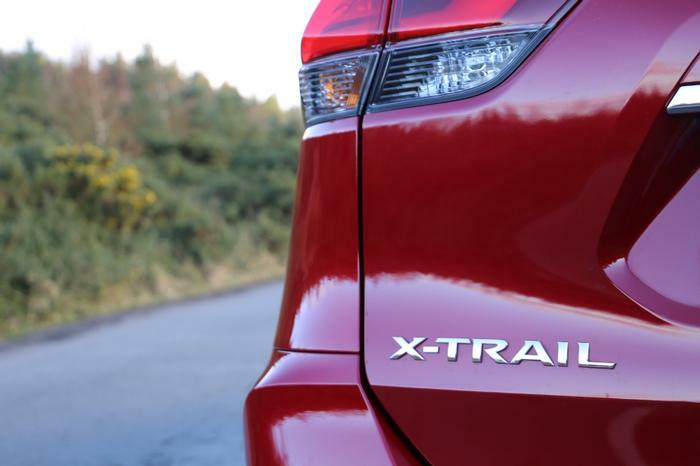 The X-Trail has some good safety features like emergency braking, lane departure warning and traffic sign recognition. It also features a rear and around view monitor on the display that assists with parking and navigating into tight spaces. All trims of the X-Trail offer a 7-seat option, we tested the 1.6 Diesel SVE 7-seat model. Setting up the optional pair of flat-folding seats in the third row is quite easily done by just pulling up the seats from the rear. The middle row seats also slide forward allowing more legroom for the two passengers. Despite this, leg room is limited as can be expected and would only be suitable for children. 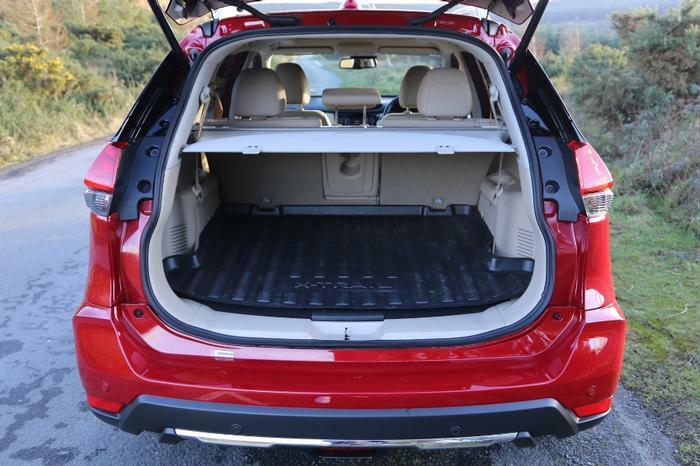 The X-Trail offers 445-litres of boot space when configured with five-seats, with a wide, practical load area. When the full seven seats are configured the boot space is reduced to just 135 litres, which can be restricted if you have a large family and are going on a long trip in which case I would advise purchasing a roof box for carrying extra luggage. For such a big SUV the X-Trail has surprisingly light steering and a smooth ride thanks to its improved suspension. This updated suspension also works in reducing cabin noise that gives you and your passengers a pleasant ride. There are three engines available for the X-Trail the 1.6-litre petrol with 6-speed manual transmission, a 1.6 Diesel with both two and four-wheel drive that offers both manual and Nissan ’s ‘X-Tronic’ automatic transmission, as well as a 2.0 Diesel that also offers an all-wheel-drive option with both transmissions available. The X-Trail ’s All-Mode 4x4-I system allows you to switch between two and four-wheel drive. It also offers Auto Mode which constantly monitors conditions and adjusts the balance of power between front and rear. Prices for the new Nissan X-Trail start at €32,600 for the standard 5-seater XE model, with the addition of the extra two seats for €33,700. The standard model does not come with the 4x4 option, but all other models do offer this. The SV model starts at €35,450 and comes with additional 7-inch infotainment display, fog lamps, automatic headlights and more. Or you could upgrade to an SV Premium model which in addition you get 18-inch alloys, I-Key with a start/stop button and the power moon roof. The top of the range SVE model for €40,800 offers leather seating, Bose speakers, heated seats and steering wheel and 19-inch alloy wheels.